Living with a dog that barks, growls, and lunges at other dogs while on leash, has trouble sharing with fellow canines, is unable to hang out with his own kind without conflict is not only stressful for their humans, but is also very stressful for the dog — not to mention it effects their quality of life. We can help you address this and bring your dog’s behavior to a manageable level giving you the peace of mind you deserve! It really is possible! Barking, growling, and lunging at other dogs when on leash—Imagine walks without having to jump behind parked cars to avoid an outburst. Difficulty sharing balls, toys, and spaces with canine housemates or dogs at the park — Imagine no longer worrying about your dog playing or sharing space without conflict. General aggressive behavior toward other dogs—Imagine being able to trust your dog to say hello to a fellow canine without fireworks. Walking the dog is supposed to be fun. Relaxing, even. But it’s hard to relax and enjoy yourself when your best friend is growling and lunging at every dog he sees. 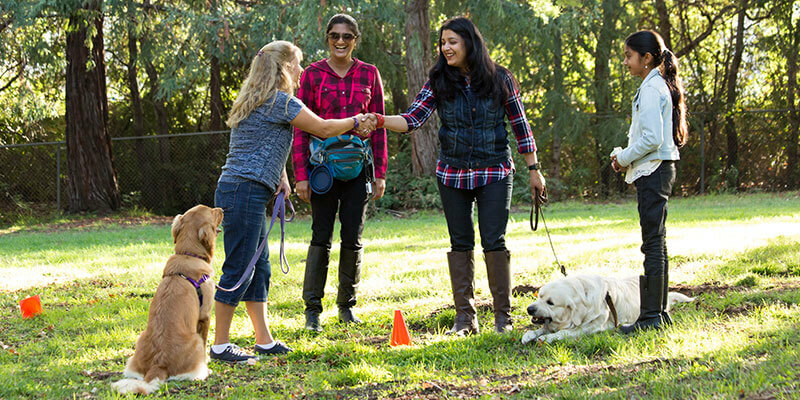 Our certified dog trainer will guide you and your group through fun, carefully orchestrated exercises designed to change how your dog feels about seeing other dogs while on leash—and how he behaves when he does, too. All our Growly Dog classes are currently waitlisted until June 2019. Please send an email if you’d like to join the wait list. Designed to boost your confidence and help your dog handle all manner of situations, we take Growly Dog graduates on the road. Weekly trips to various neighborhoods, parks, and other appropriate settings let you and your dog practice your new skills in real-life situations. You’ll walk with a small group of fellow Growly Dog grads, guided by your training instructor. You will also be a part of our free Meet Up and Facebook group connecting you with other owners for additional help & support, if needed. Our trainer will train your dog for you at home or out and about where you need him to be on his best calm behavior around other dogs. Then we’ll transfer our training results to you. Our trainer will meet you at a time and location convenient to you. We’ll lay some training foundation then work with you at home, in the park, or out on guided training walks. Have a leash reactive dog? Having trouble deciding between group classes and private training? You don’t have to. With our Combo packs for dogs who bark and lunge at other dogs while on leash, you can have the benefits of both. Why does he do that?? Our clients and students often ask us why their dogs behave the way they do. When it comes to aggression, fear is usually the culprit. What? He hardly looks scared, you say. We know. He looks kind of scary doing all that barking and growling and lunging toward the other dog. But many dogs learn that when you bark and growl and lunge things move away from you. It’s really a pretty smart technique, when you think about it. Not a very socially acceptable one, though! In the case of leash reactive dogs, in most cases it could be that the dog is upset or uncomfortable being constrained by a leash as his ability to move away is restricted. It could be lack of experience. Dogs who don’t grow up around other dogs during puppyhood often suffer from what we call lack of appropriate socialization. Think of it this way: If you kept a child away from other children until she was 7 years old there’s a good chance she’d have a hard time being socially polite. The barking, growling, snapping, lunging or just symptoms. To solve leash reactivity, we need to change your dog’s emotions. So what can I do? Our growly dog training includes two approaches: We teach your dog there’s nothing to be afraid of, and we show him new, more effective ways to behave when he sees or interacts with another dog. We also work on your body language to ensure that there is no conflicting communication between you and your dog. This one-two combination is designed to get your dog feeling more comfortable around other dogs, and you feeling less stressed as a result. Group class for leash reactive dogs?? Yes. Group classes are a great way to learn and practice new behaviors in a safe, supportive environment surrounded by fellow dog owners who understand what you’re experiencing. Note: This class is currently on a wait-list. The next class is scheduled to start in June. Please send us an email if you’d like to sign up for that class. Private Training provides more personalized help with on-leash issues, dog-dog aggression in your home, or a dog that has general difficulty getting along with other dogs. 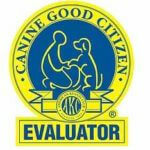 We teach you how to work with your dog or train him for you. Combine Group Classes and add personalized help with Private Training training sessions. Choose the package that works best for you. 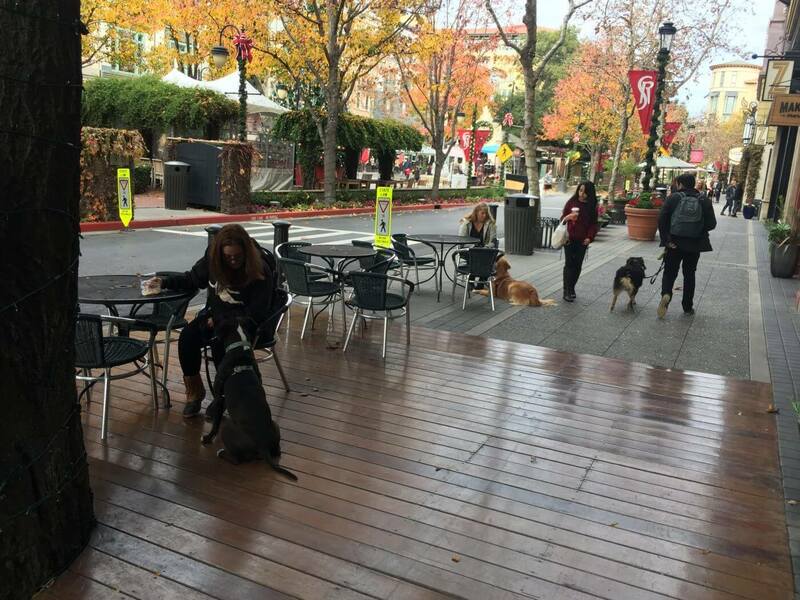 Group Puppy & Dog Training Classes, Private Puppy & Dog Training for Manners, Board and Train, Day School for Puppies & Adult Dogs, Behavior Modification in California South Bay Area, including San Jose, Willow Glen, Santa Clara, Monte Sereno, Sunnyvale,Milpitas, Campbell, Saratoga, Los Gatos, Los Altos, Cupertino, Mountain View, Palo Alto, and Menlo Park.